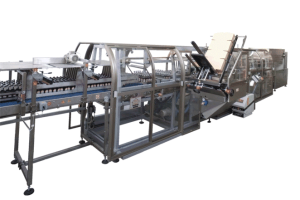 The field of cartonning equipment is divided into two areas and Enterprise Tondelli are able to supply both options. There are two possibilities for what has been called boxing. The second option is an “American” type carton or carton with top and bottom flaps depending on your background. These are a more traditional carton and can consist of three machines to achieve the desired result. A number of elements would dictate the use of this type of cartonning machine such as:- shorter run lines, point of sale display, higher value products and traditional appeal required. Enterprise Tondelli can supply units from 450 cartons per hour up to 4,000 cartons per hour. Monobloc erector/loader/sealer cartonning machines are available too. 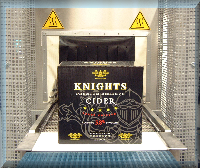 We are very aware of the requirement for reducing packaging waste and our suppliers have some innovative ideas for this such as the “virtual carton” (tray with “U” shaped top cover) or two trays (one top one bottom) plus film. 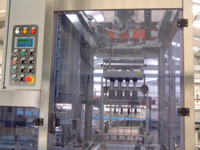 Enterprise Tondelli supply both types of machines as single units or as part of complete filling and packaging lines. For your specific requirements please do no hesitate to contact us.